Hooray for the Third Bridge! 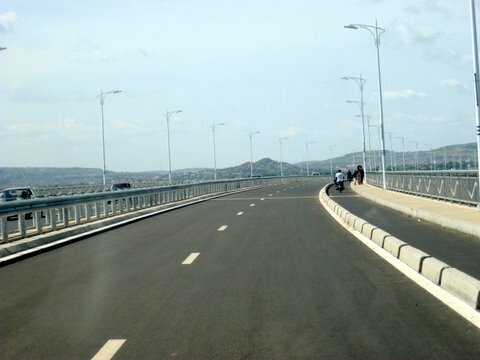 Yes, after two and a half years’ work, the New, New Bridge is finally open, just to the east of Bamako city! Woohoo! Here’s hoping it will ease up the traffic in town, which is often quite bad during rush hour (see this post for an example). It was a gift from China to Mali and, apparently, cost over 60,000,000 US Dollars! For photos of the construction work in action, click here or here. It was officially opened last Thursday (22nd September), the day of Mali’s 51st anniversary of independance. Click here and here to see the inauguration ceremony. Can you imagine this being popular in the West?!? Oh such fun. 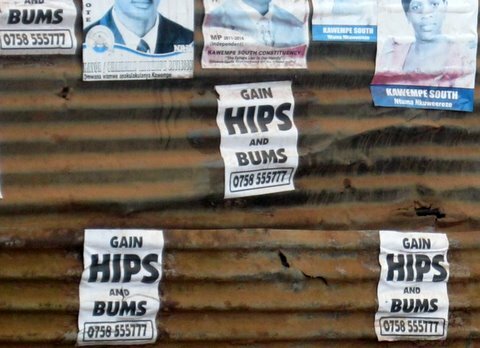 I took this in Kampala, Uganda, a few months ago. The Amazing Blind Drummer of Benin! First off, sorry for the lack of postings in the past few weeks; I’ve been in the UK and can never find much interesting to blog about there :-). Meanwhile, have a look at this amazing guy with his home made drums (including a bass drum with foot pedal) and harmonica. I saw him a few years ago half way between Cotonou and Djougou on the coach route north. To top it all, he’s also blind! What an increadible bloke! Anyone seen him lately?? This really is a testimony to African resourcefulness and ability to triumph even in adversity. This guy is incredible. Makes me think of the Staff Benda Bilili story (click here and here to find out more).